PianOrquestra – Dez mãos e um piano preparado. 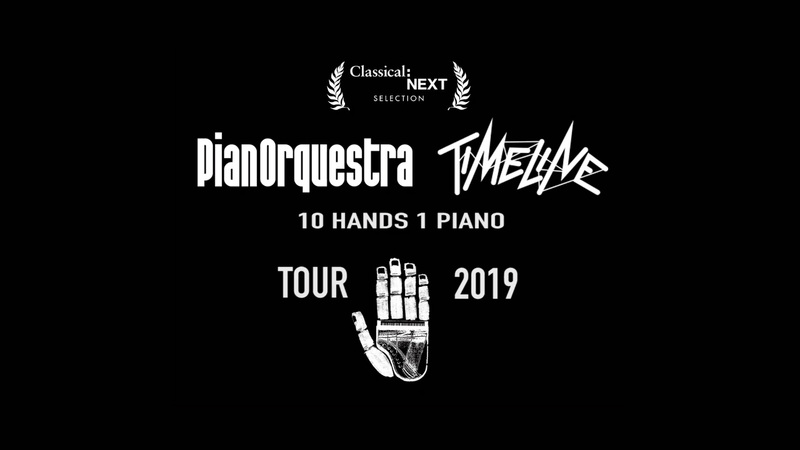 The new show “Timeline” – from the award-winning group PianOrquestra, which explores 10 hands and 1 piano, brings to the stage a spectacle that transcends time. It takes us from here and now and brings all on an incredible journey through time and music. Approaching “Time” in a playful way and exploring a concept of fluid time around the gravitational force of the piano, they use technology and multilanguage, integrated to the performance of high virtuosity. PianOrquestra is a unique and innovative project that stands out for originality and quality with a work involving four pianists, a percussionist and a prepared piano. With gloves, drumsticks, guitar picks, nylon strings, rubber sandals, metal pieces, wood, fabric and plastic, they explore the infinite possibilities of timbres and sonorities produced by the piano, transforming the instrument into his own orchestra. Considered one of the “10 best concerts of the year” by Jornal O Globo; awarded by Itaú Cultural Rumos; the highest score of the 3 Americas to participate in the Classical Next showcase; PianOrquestra has been running seasons with full house in the main venues of Brazil and around the world. Waves and lines are represented by projections, elastic bands and twisted wires that connect the piano and the musicians, transporting the audience on a time trip full of artistic and musical surprises among the works of Brazilian composers such as Pixinguinha, Claudio Santoro, Milton Nascimento, Toninho Horta, Villa-Lobos, passing by Arvo Pärt, arriving at the contemporary pop scene world with Beatles and Michael Jackson. With a strong Brazilian brand, our artistic proposal is challenging – because it is an orchestra within a single piano, the arrangements and compositions are a meticulous work, similar to the wood carving and braiding of Brazilian crafts.